OPTIMAL STRUCTURE IS OPTIMAL IMMUNITY! CAN CHRONIC EAR INFECTIONS BE A STRUCTURAL PROBLEM? Research shows that ear infections (otitus media) are the reason for over 35% of all pediatrician visits. Ear infections are mostly seen in children, however; many adults suffer from chronic ear infections too. The ear is divided into three parts: the outer ear canal, the middle ear space (where most infections occur), and the inner ear where the balance center and nerves are located. There is a thin, membranous eardrum dividing the outer and middle ear. 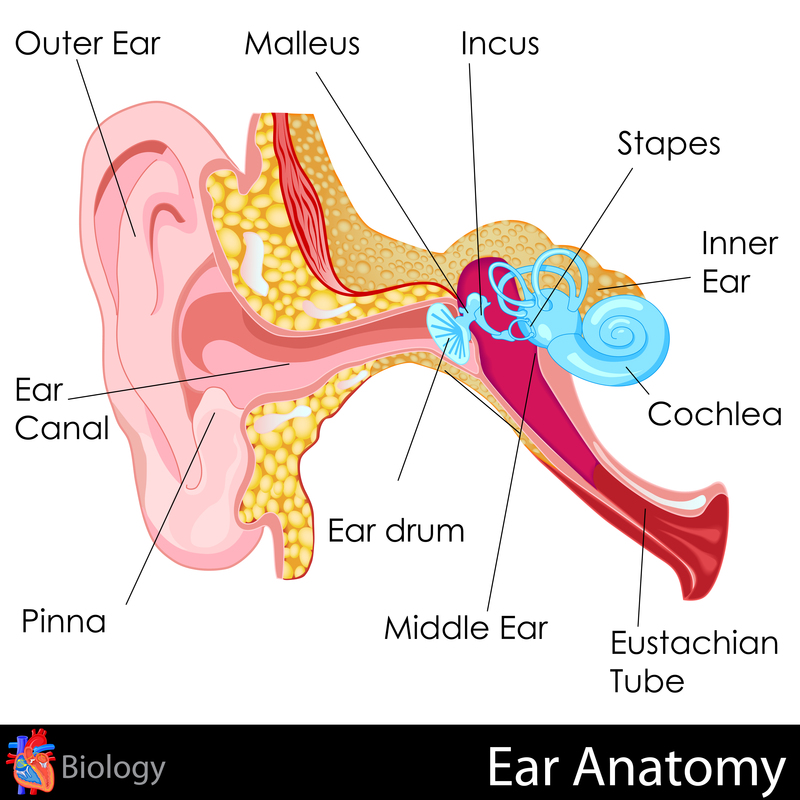 Inside the middle ear space are small bones that conduct the vibrations of the eardrum to the brain and is connected to the back of the nose via the Eustachian tube. In infants and young children this tube is much shorter and is angled. Therefore, it is much easier for bacteria to migrate from the nose and throat up into the middle ear space. As the child grows this tube becomes more vertical, so germs have to travel “up-hill” to reach the middle ear, which is one-reason children “outgrow” ear infections.